Hi. Welcome to a new episode of Orthodontic Matters. Today we are going to talk about ectopic eruption and impacted teeth. This is a topic that oftentimes I get questions about and several of you have asked if I could put together a short video with some examples. Let’s get started here. Okay? First, when we talk about ectopic eruption, what do we mean by that and what is ectopic eruption really is? Really if you want to define what ectopic eruption is, it’s a disturbance where the tooth does not follow its usual course. That just means you know the way a tooth should erupt, it’s not following that path. For example, you can see here the uppers threes, in orthodontics we number the teeth starting from the middle, so the uppers threes would be the canines. These canines should be coming down very nicely by this age, but as you can tell there’s just really no room in this patient for the eruption of the upper canines and so what you see is these teeth are ectopically erupting. They’re just not simply following the normal path as the canines should erupt. As opposed to impacted teeth, tooth impaction is different. Tooth impaction is when a tooth fails to erupt into the dental arch within the expected accepted developmental window. If a 12-year molar should erupt let’s say by age 12, 13, and by age 16, 17 it still has not erupted, that molar would be classified as impacted. Like for example here, you can see the lower left wisdom tooth it should have been erupted by now into the arch, but obviously this tooth is impacted and it’s not going to erupt into the arch by the timeline that it should have reached that developmental point. This tooth is impacted and like we said earlier, ectopic eruption is just the process where a tooth is just simply not following the course of the path that it should erupt. It’s important to make those distinctions. Sometimes I hear doctors talking about a tooth is impacted so they’re talking about, you know, let’s see, an eight-year-old or a nine-year-old who’s got a canine that just looks like there’s just not enough room for a canine to come down, for example like in this case, well that tooth is really not impacted yet, because it’s not in a timeframe that it should have been erupted into the arch. It’s just simply following an ectopic eruption path. Later on if the patient is let’s say, 16 years old and the canines are still at this position, then you would call this an impacted tooth. Anyways, it’s an important distinction to make. What is the most common area where we see ectopic eruption? The most common areas for ectopic eruption, impacted teeth, are the third molars. That would be one of the most common areas where you’ll see this. The next one would be the upper canines, which we already saw an example for, and also second premolars. Those are some of the common areas where you see this. How to we diagnose and monitor ectopic eruption. Now during the transitional dentitional stage, it’s important that we take panoramic x-rays. Now why do we do that? Well, for one thing we look for any pathologies, but the most important thing is that we look for the location of the upper canines. If the canines are beginning to cross into the lateral incisor root, oftentimes some intervention is necessary. It’s like for example you can see in this case, this patient the canines are erupting in an ectopic manner. They’re just really pushing on the roots of those laterals. It’s important to take a panorex to simply discover that this is going on and to recognize this and oftentimes in these cases we have to take some interventions. Not always, but depending on the severity of the ectopic eruptions or later to try to prevent it becoming an impaction. Here we’ll see some examples for this. Now some of you, you would ask what type of interventions we have to do? Well it really depends. There’s two common ones that we have to take into consideration. One would be a lot of times if you see these ectopic erupting canines, some times we do an arch expansion. We have to keep in mind the lower arch because remember the lower arch is our diagnostic arch, so we can’t just indiscriminately expand the upper arch not paying attention to what’s going on with the lower arch. We have to coordinate the two. Nevertheless sometimes if, for example, the patient has some large tonsils or airway issues or they just have a lower and forward tongue position, a lot of times these patients have a narrow upper arch. The lower arch is actually often time wider than the upper arch. You see that especially in Class III cases as well. You see impacted or ectopic erupting upper canines with a pretty normal lower arch and the upper arch is just really narrow, so a lot of these cases we have to do an expansion to give a lot of room for teeth to erupt and to try to prevent the teeth from becoming impacted. 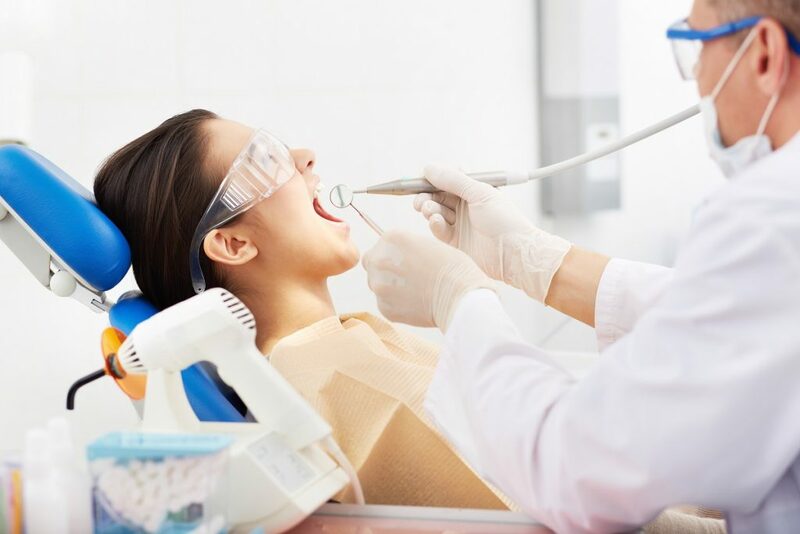 The other treatment method is, you know, some research has shown that extracting associated primary teeth, especially canines, sometimes primary first molars and canines that are very angulated, it’s enough to correct the ectopic eruption of the permanent canine. This can help prevent impaction. To be honest I do this more rarely than I do expansions, because oftentimes what I found with patients is that the upper arches are just too narrow and doing these extractions of the baby teeth to help the ectopic eruptions just does not resolve the problem. The second I probably use less often as I do expansions. Now, it’s important also that we need to feel for the teeth intra orally. You can palpate for the canines, the upper canines for example, on the outside in the vestibule, labially, and see if maybe the canine is erupting there. The primary teeth should be getting loose at this point. It’s important to check, make sure the teeth are not dropping below the plane of occlusion. This could be a sign of ankylosis. Ankylosed teeth, it just looks like they kind of sunken in to the arch. It’s important to recognize these. A lot of times we tap on these teeth and they’re just give a different sound to it because these ankylosed teeth will simply react to percussion tests differently than teeth that are not ankylosed. It’s important to keep an eye on these and take x-rays and just notice this if it’s happening because if you have, for example, a lower five, a lower second premolar that’s impacted, or again, not impacted but being ankylosed, oftentimes the other teeth will kind of tilt over it, so the posterior teeth can medialize and really create an asymmetrical situation. It’s important to recognize if that’s happening. Let’s see some examples for this. All right so here is for example one case that we treated. As you can see there’s a lot of ectopic eruptions going on here. This patient just really has a narrow arch. If you look at the patient’s clinically you can tell that the lateral teeth haven’t even erupted. This is probably one of the more severe cases. You can see that there’s just really simply no room for the laterals to even erupt and not even mentioning the canines. We did some expansions, coordinating it with the lower arch. I’m only showing just the upper arch here, but for the time sakes, for this short video, but we were able to help all the teeth to erupt including the laterals, the canines. We’re still in treatment at this point, but this was actually a two-phase treatment. We were able to get teeth to erupt into an arch normally. Now let’s look at another example. This was also an expansion case. As you can tell there’s a ectopic eruption of the upper canines. After expansion they were just a little better room for those canines to erupt. Sometimes if you can get the canines to erupt at this point, at least, even if we have to surgically expose it, a lot of times, especially if it’s in a buccal surface, it’s a lot easier to expose these teeth if they’re in this lower position, a lot closer to the arch, than if they get impacted in this very high position that’s very difficult to expose those teeth and bring them into an arch. You can tell on this case that here was an ectopic teeth with ectopic eruption. We did expansion and were able to bring all the teeth into the arch after expansion. If you look at our last example, this is the case that we looked at before with some clinical pictures, you can tell that like before that there’s just really no room for these canines to come in. Some people will say the primary canine and the primary first molar could be extracted. That’s actually not the route that we took because I have found that that simply does not address the ectopic eruption and oftentimes when I do that, it would still … the teeth would get impacted. We actually ended up coordinating the upper arch to lower and we did upper expansion. You can tell the amount of crowding on this patient, so she had phase-one treatment just with an expansion. This is actually only with the phase-one treatment as you can tell. All the teeth erupted. There was no surgical exposure or anything. Really the only thing this patient had was just an upper expander and then four brackets to consolidate the teeth after the expansion to close the gaps. This is actually what her teeth look like after treatment. You can kind of see the comparisons with the ectopic erupting canines and after treatment. This is just a follow-up picture. Obviously this is much later after treatment because this treatment really only took about 10 months. We just did the expansion, couple of brackets. We did place the lower lingual arch as well, which is really not our topic today, but that was really all the treatment that we did for this patient. She’s just waiting for phase-two to just align everything, which actually should be fairly straightforward. Hopefully you found this presentation helpful and it will help you with deciding what teeth are ectopically erupting and which teeth are impacted. If you have any questions, you’re always welcome to email us or send me a note. Let me know if there’s any videos that you’d like to cover or any topics you’re interested in. Hopefully you’ll find this information helpful in your practices. If you need more information like this you’re welcome to visit us on our website, which is nagyorthodonticacademy.com. We also offer a class, which is like a team training class, that we help doctors and their staff to get on the same page, even if they don’t practice orthodontics it’s a lot of good information about how to recognize these problems early on so you can get appropriate help for your patients. That class it’s seven CE class. We are ADA certified providers of continuing educational classes. These are NOA 101 class, which is what every dental professional should know about orthodontics, sleep apnea, and TMD. We offer these classes probably every three months. For those of you that would like to learn comprehensive orthodontics, we do have a two-year program which is a comprehensive orthodontic program that we offer once a year. We wish you the best of luck and hopefully you will be able to have these patients in your practices, recognizing these problems, and getting them treatments in your practices. If you don’t feel comfortable treating these patients, then you can refer to them to appropriate place. Thank you for watching this. We wish you a wonderful rest of the week. Good-bye.